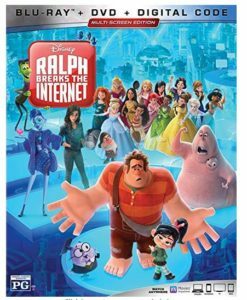 ‘Ralph Breaks the Internet’ is the sequel to 2012’s Walt Disney Animation Studios film ‘Wreck-It Ralph’. Featuring the voices of John C. Reilly and Sarah Silverman, it is an enjoyable follow-up with just as much charm and likeability as the original. 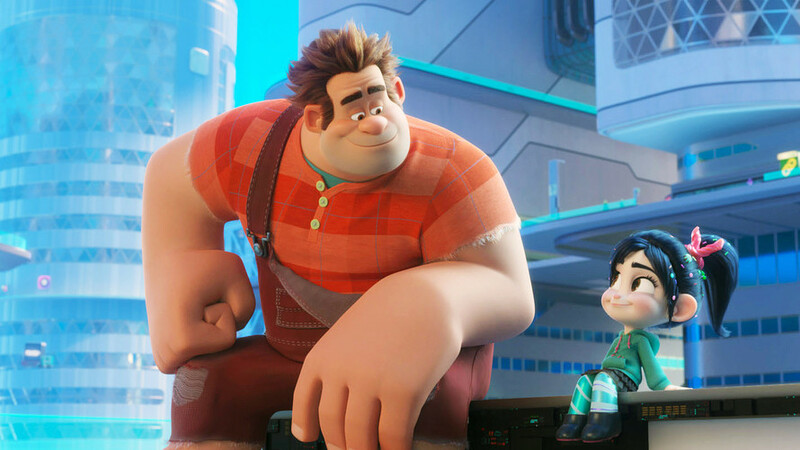 Six years after the events of the first film, Wreck-It Ralph (voiced by John C. Reilly) and Vanellope von Schweetz (voiced by Sarah Silverman) have become best friends, often hopping from game to game together at the arcade. One day, the steering wheel for Vanellope’s game Sugar Rush breaks and the arcade owner decides to unplug the system for good, leaving her homeless and with no other place to go. However, Ralph comes up with an idea to enter the newly installed Wi-Fi router to search the internet for a replacement steering wheel. With time running out before the Sugar Rush machine is taken away, Ralph and Vanellope set off on an adventure into the mysterious world wide web. While it still retains the same amount of fun and quirkiness as its predecessor, ‘Ralph Breaks the Internet’ unfortunately does get bogged down with some annoyingly obvious plotholes. 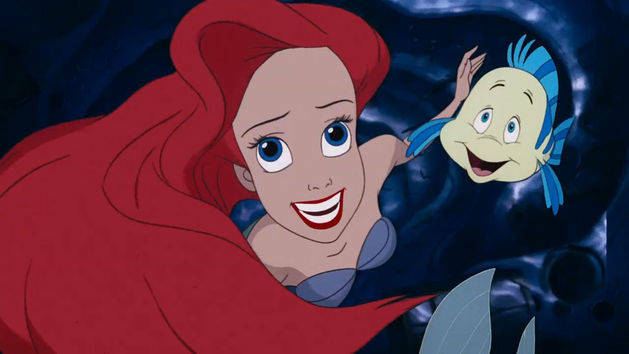 There are a number of unresolved and unexplained elements to the story that seemed to be brushed under the carpet at the film’s conclusion. The print is presented in 1080p/AVC MPEG-4 with a 1:85:1 aspect ratio. The picture quality on the Blu-ray is superb. The animation is beautiful, as are the lively colors. No artifacts, color banding, off color skin tones or other problems that come from compression or a bad transfer. It looks like you’re looking through a crystal clear glass window straight into the world of the movie. The clarity is amazing. If you’re a gamer with a large TV, you’ll get a lot of joy out of pausing the playback to pick out cameos and references in the backgrounds. The audio is presented in a DTS-HD Master Audio 5.1 mix. The sound is likewise excellent. The dialog is clear as a bell, with no muddiness in the sound effects or musical score. This is a real bonus, since many of the video game references are auditory. 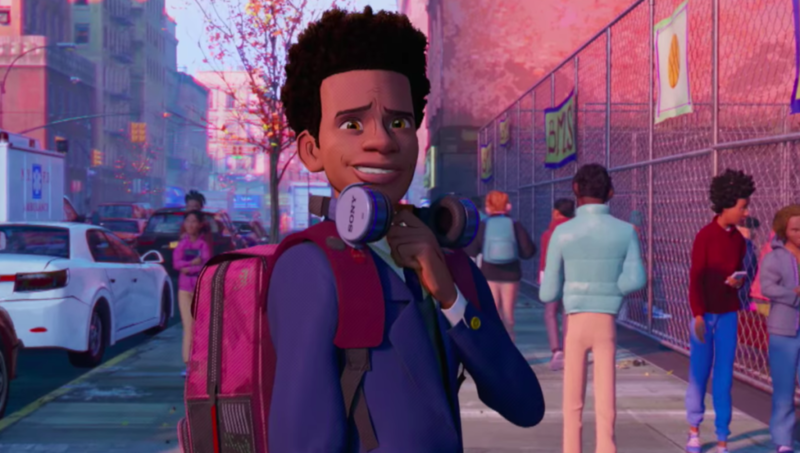 At the end of the day, though, I’d call “Ralph Breaks the Internet” and its predecessor about even in terms of overall enjoyment.